Celebrating its Grand Opening on July 3rd 2015, OPEN WALLS Gallery brings New York based Public Art pioneer Jordan Seiler together with European art activist Vermibus for a very special show, which consciously sets a statement against the superficial surface of today’s commercialized cityscapes and the visual pollution of outdoor advertising. Jordan Seiler already started to challenge the relationship between public spaces and commercial advertising while attending The Rhode Island School of Design in 2000 with his PublicAdCampaign, for which he took over billboards to use them as canvases for his own artworks. Over the years Seiler’s campaign has grown from an individual art project to a collective work, which peaked in the New York Street Advertising Takeover, where more than 100 participants replaced ads with artworks. Later he launched a digital equivalent with an App titled NO AD, which replaces NYC subway advertisement with curated artwork. Taking this idea even one step further Jordan Seiler and Vermibus joined forces for the NO AD DAY in November 2014, wherefore activists from all over the world were asked to remove outdoor advertisings, leaving plain white display cases as signs of the elimination of the commercial media behind. Just as in Vermibus’ individual work, in which the Berlin based artist removes ads and transforms the high gloss bikini beauties into deformed beasts, it’s the irritation of the common viewing habit that expresses his critique against the advertising industry. The OPEN WALLS Gallery Grand Opening show will gather a collection of recent works from both artists - including a multimedia segment by Seiler - as well as a photo series by Thomas von Wittich, taken from his “Dissolving Europe“ project, for which he followed Vermibus around the continent. 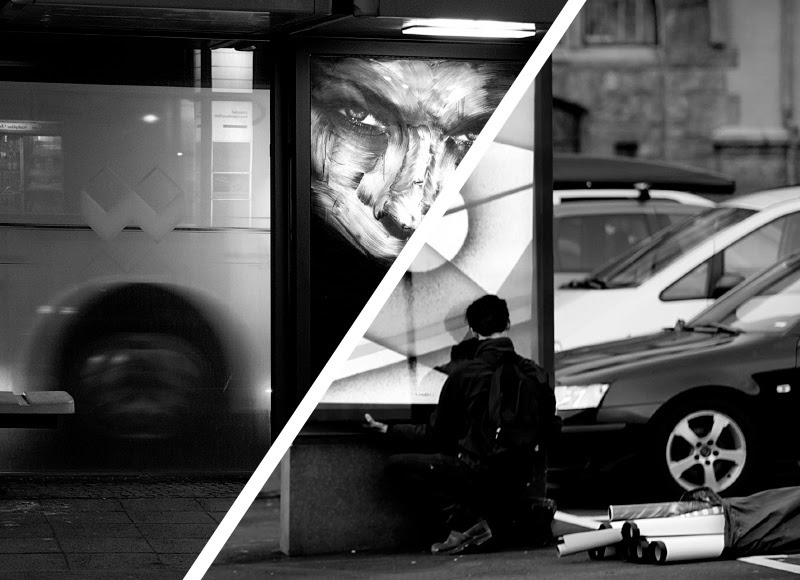 An introduction to Ad-Busting and Public Art will be given by Jordan Seiler during the vernissage. Additional press information, photos and video material is available upon request. Please email the gallery and we'll get back to you shortly.